As a certified Oracle Gold Partner, let our team of trained experts provide you with Oracle commerce strategies for your B2C or B2B commerce with hands on implementation and customized training services to take your business to the next level. With Best in Class Innovation, Magento B2B and B2C Commerce is the world’s largest and most versatile commerce platform. Tagrem’s implementation team is ready to help you leverage the full capabilities of your investment. As the B2C commerce landscape is constantly evolving, it’s imperative your brand evolves in tandem so you don’t get left behind. Leveraging industry leading eCommerce platforms like Oracle, Shopify, and Indition Commerce, Tagrem provides you the knowledge and tools you need to ultimately simplify, enhance, and enrich your customers shopping experience across all touchpoints. Our enterprise-class services extend your platform’s functionality and flexibility, delivering real-time personalization, intelligent search features, increased sales efficiency, and much more. Today, B2B companies demand flexible and customizable solutions that enable them to connect and interact with their buyers, suppliers, and service providers. Successful B2B requires an extensible platform with enterprise grade applications and services combined with rapid and integrated order processes. With the strategic combination of Tagrem’s eCommerce solutions coupled with the powerful innovation from Oracle and Indition Commerce, we are able to provide you with endless functionality, enterprise performance and scale, and seamless integrations with third-party solutions to streamline your operations and increase your bottom line. Indition Commerce is an enterprise-grade solution that provides a single platform for modern eCommerce that demands performance, flexibility, scalability and extensibility. From small craft shops to big brand names, Shopify offers a reliable hosted solution for B2C brands. Tagrem works with you to integrate with your current 3rd party applications and extend your features to maximize your revenue growth. We will continue to see a convergence of the digital and physical world. Those who conquer that trend will be market leaders.-John Phillips, Pepsico, inc.
CRO, SEO, PPC Advertising, automated targeted campaigns. 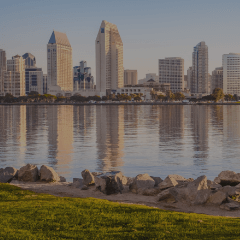 Charitable Adult Rides & Services (CARS) is a San Diego based non-profit organization dedicated to helping over 2,000 charitable organizations create, implement, and manage vehicle donation programs across the United States and Canada. CARS recent implementation of Indition CRA within its network has proven the power of automated, responsive marketing efforts to more than 200 of its partners, each seeing tremendous growth in their vehicle donation programs with the help of Tagrem's eCommerce solutions.